I have to admit when I was approached to work with Kmart I was super super excited! It’s been a long time since I have been to a Kmart and I always loved shopping there. I have some great Kmart memories from when I was growing up. My mom worked at Kmart for many years and sometimes I would spend time there just looking around for hours while she was working. It was also a special treat to have lunch in the café that was there. I was raised by a single mom and we didn’t have a lot but I always enjoyed those little treats. We don’t have a Kmart in the city I live in but I do have two that are within a half hour from me. Joe and I headed out Saturday morning and decided we would check out some thrift stores on the way. Love thrift stores! How about you? Once at Kmart we decided to look around a bit to see if there was anything we couldn’t live without. They have some great deals right now and quite a bit of summer clearance already. Can you tell I love a good deal? 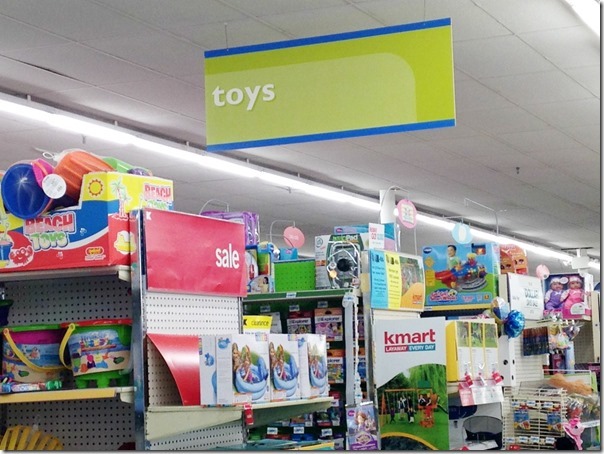 We really enjoyed shopping at Kmart and found the store stocks a lot of merchandise. I was surprised by how big their kids clothing department was. 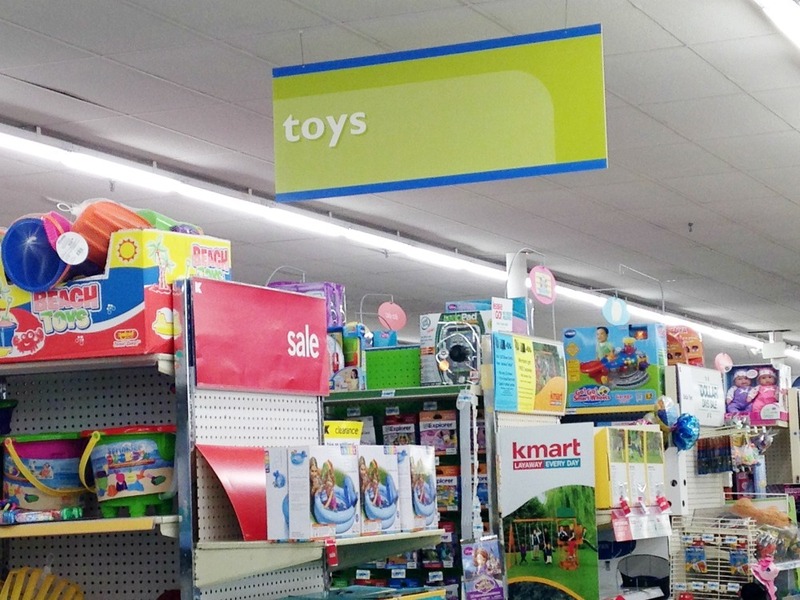 We finally made our way to the Toy Department and spent some time checking out what all they had to offer. The aisles are well stocked and their prices are comparable to other stores if not a little cheaper. 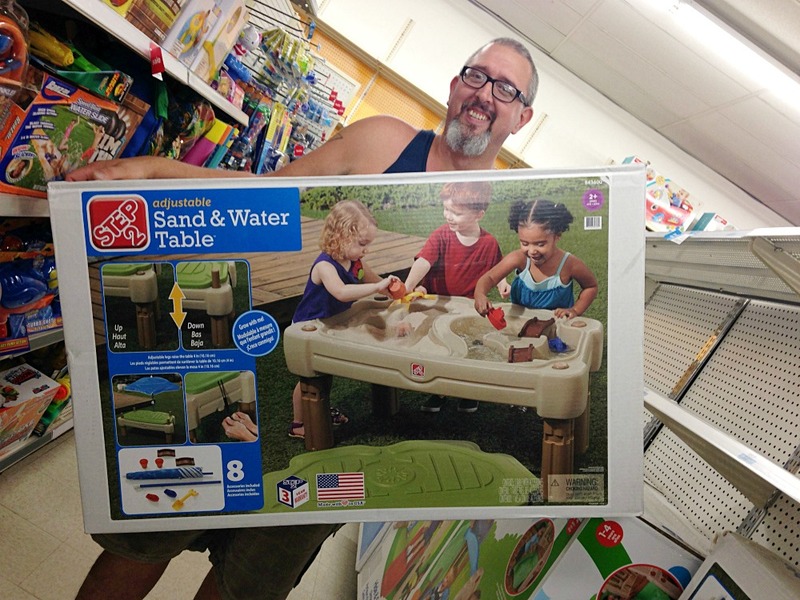 We decided to purchase a Sand and Water Table by Step2 for Isaiah. I was really shocked by how reasonable the price was on it! It was only $59.99 before taxes. Granted I haven’t priced it anywhere else so I’m not certain if it’s the lowest price but it’s certainly a fair price. Step2 is one of my favorite brands because their toys last forever. We headed to checkout with the Sand and Water Table and were pleasantly surprised to find many lanes open and therefore we were checked out quickly. That was a nice change from other stores we frequent. So, many of you may recall that Kmart used to be known for their blue light specials and while I don’t think they have those any more they do have something that is pretty awesome, a rewards card called Shop Your Way Rewards. Let me tell you I did love those blue light specials and racing everyone to the blue light, trying to be the first or at least one of the lucky ones to get in on the deal but I really like the Shop Your Way Rewards also. Because we spent over $50 we received a coupon for 30 cents off a gallon of gas with the Shop Your Way Gas Rewards. Also, the employee who checked us out told us you can use three of the coupons at a time so you can save up to 90 cents off per gallon! How awesome is that? Great surprise! On the Kmart website you can also download coupons and find Shop Your Way Exclusives in the Shop Your Way Rewards section. We really enjoyed shopping at Kmart and I can see us making trips occasionally just for the purpose of shopping there again. 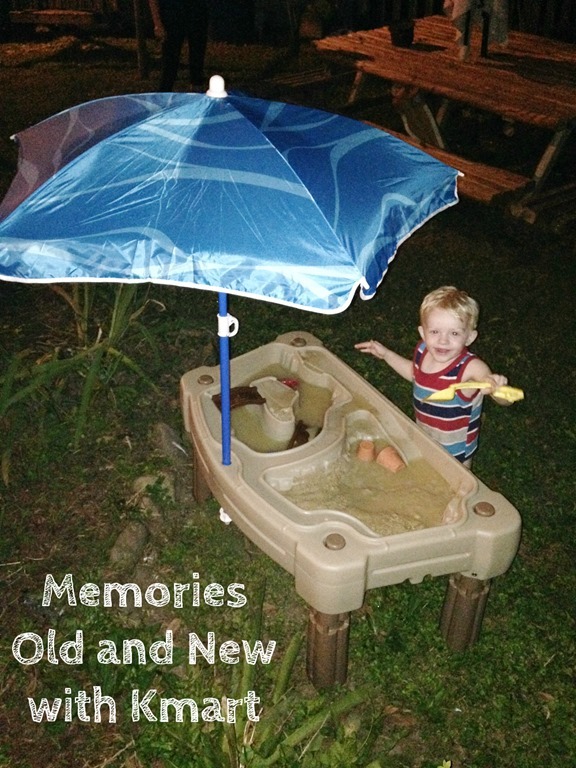 Oh and Isaiah loved the Step2 Sand and Water Table as you can see from the pictures. It’s the perfect way to allow your little one to play with sand without having the huge mess. I don’t know about you but I really dislike having to clean up sand that is tracked all through the house. Since he’s not sitting in it like he would a sandbox it doesn’t end up tracked in. As I mentioned before it will probably last well beyond his interest in playing with it because it’s made by Step2 and is a very good quality, heavy duty plastic. It also comes with an umbrella which is a nice added bonus. You really can’t beat it for the price. 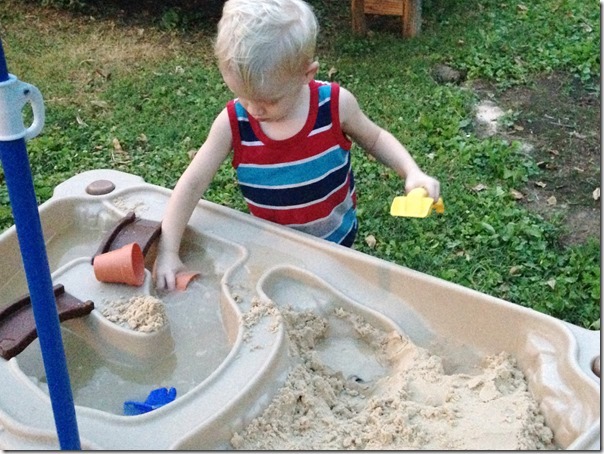 I don't love the mess he makes with the water and sand mixing but he does so I guess I will live with it. LOL I am loving their card and the gas savings is awesome with prices being so high. I agree Cassie! I always loved shopping there too.